With a comprehensive listing of friendly and reliable Bakersfield emergency dentists, Emergency Dentists USA is the perfect place to find your new dental professional. Our 24-hour helpline connects you to a live operator who understands what it is like to wake up with a painful toothache or a lost filling. No matter when your dental emergency begins, Emergency Dentists USA is standing by to bring it to an end quickly. Finding Emergency Dentists USA was a lifesaver for me when I was suffering from such extreme dental pain that I almost went to the ER. But I didn’t want to pay those high fees! I found this site and called and their staff was able to find several dentists in my area who were. With a variety of Bakersfield emergency dentists available on Emergency Dentists USA, your search begins with a simple scroll down the page or a quick phone call to the live operator on our 24-hour hotline. 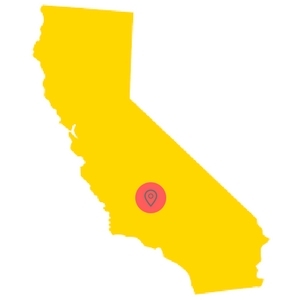 There are several different types of clinics available to you in Bakersfield, CA. Walk-in dental clinics include walk-in dental services that allow you to access a dentist without the need for making an appointment. Emergency 24-Hour Dental Clinics offer 24-hour dental care with an on-call dentist. And after hours dentists are standard dental offices that are open extra hours in order to ensure that patients are able to see a dentist after work or on the weekends. Finding the right Bakersfield emergency dentist begins with a scroll through our extensive listing of emergency dentists. The dental listings are located below and include a short introduction to each dental office. Websites, addresses, and phone numbers are included in each emergency dentist listing, making it simple to get exactly what you need. Description Call us today to find the perfect emergency dentist in Bakersfield for whatever your situation may be. Getting ahold of a dentist office at night or on the weekends can be a nightmare. We make the process simple by maintaining a relationship with thousands of dentist throughout the nation. Call today, speak to the operator 24 hours a day, 7 days a week, and make an appointment with a dentist near you! Description: The Brilliant Dental Care center in Bakersfield CA is a great place to visit for a Saturday dentist appointment. You can see they have hours from 9am to 5pm on Saturdays which allows them to see many patients! They are also open until 6pm most weeknights. This makes Brilliant Dental Center an excellent choice to help with your emergency dental problems. Description: The Southwest Family Dentistry office is also a great choice for a Saturday dentist in Bakersfield. You can see they have Saturday hours from 7am til 4pm every week. They welcome walkins and can service your after hour dentist needs with their wide range of available hours. Description: Dr. Gill is the attending dentist at this location and has always expressed a keen interest in general and cosmetic dentistry. He has received advanced preparation in the field of invisalign, oral sedation, lumineers, clear correct, and orthodontics. 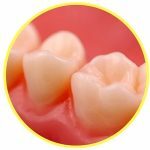 Services include a wide range of dentistry such as root canal, composite fillings, replacing missing teeth, extractions, implants, bridge work, dentures, and many other dentistry needs. Description: When a tooth that has been nagging you with a gradual ache for a little while has not been looked at, sometimes infection is the next drastic fork in the road! Periodontist Ori Levy, orthodontist Simon Yashari, and office manager James Coyle are all part of this dynamic emergency dental team that is here to provide peace of mind for you. Description: Apollonia Dental Center in Bakersfield is are ready and willing to have new patients at their urgent care dentist clinic. You can find them there with office hours up to 7pm on weeknights Monday through Thursday. This is a great opportunity for you to get to the dentist after work without having to cut into your work day! Similar to visiting your local dental clinic, Bakersfield emergency dental clinic visits begin with paperwork and a routine examination. Try to arrive at least 15 minutes prior to your emergency dentist appointment in order to fill out the paperwork. You can also use this time to ask questions about your upcoming procedure. Make sure that the emergency dentist that you choose accepts your form of payment. Bring your driver’s license or identification card if you plan on paying with a check or credit card. Bring a complete list of your current medications with you to the Bakersfield emergency dentist. Let the dentist know if you have any allergies to medications. Many people are frightened when they visit a dentist, especially when it has been many years since their last visit. Let the dental staff know about your fears so that they can help you to remain calm. Common 24-hour dental emergencies include lost or broken crowns, teeth that are cracked or broken, a tooth that is knocked completely out of the gum and even broken braces or wires. Other common dental emergencies include soft tissue injuries to the mouth and lips, objects caught between the teeth and painful or dangerous abscesses. Some of these common dental emergencies require immediate treatment regardless of the time of day or night. If you are experiencing any of the dental emergencies outlined below, it is a good idea to get in to see your emergency dentist in the Bakersfield area right away. If you lose a filling, you can place a piece of sugarless gum in the hole in the tooth. Do not use gum that has sugar in it, because this can cause pain when it comes in contact with the damaged tooth. Be sure to have the filling replaced as soon as possible to protect the tooth from contact with food. An exposed and damaged tooth will continue to decay and can become painful quickly. 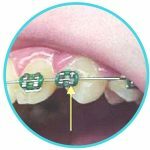 If the wire from your braces is pressing against the gum or cheek, this can even be a painful dental emergency. Using the eraser end of a pencil, push the wire into a better position in your mouth. Do not use tools to cut the wire. You can also cover the exposed or sharp end of the wire with a cotton ball or a small piece of orthodontic wax. When tooth trauma is caused by an accident, it is important to visit a hospital emergency room to ensure that you have no other injuries that could be dangerous to your overall health. If the tooth trauma caused by an accident does not include any other bodily injuries, you should make an appointment to see your Bakersfield emergency dentist as soon as possible. When a dentist is unable to repair the damage to a decayed tooth, he or she might choose to perform an emergency tooth extraction. 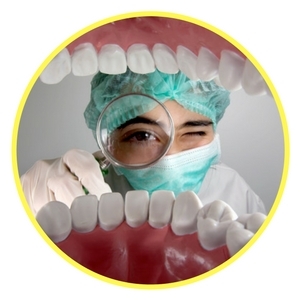 The procedure begins with a thorough examination of the tooth along with x-rays. The dentist will usually numb the area surrounding the damaged tooth with a local anesthetic in order to relieve any pain during the tooth extraction. A special dental tool is used to remove the tooth from the gum socket. Sometimes the tooth is broken into pieces and then removed. The dentist then uses stitches to close the gums and places a piece of gauze into the area to stop any bleeding. Full healing occurs within one to two weeks of the procedure. It is important to follow any instructions given by your Bakersfield emergency dentist following the tooth extraction. Many hospital physicians are not trained to treat a dental emergency, and although they can stabilize your situation, they usually end up referring you to an emergency dental clinic. If you have a dental emergency that results from an accident or injury, the ER is the first place you should visit for treatment. When a car accident or a fall results in a broken tooth, you may also have other injuries that require medical treatment. When you face a dental emergency, let Emergency Dentists USA help! With a quick one call to our free hotline, our operators will be able to find an emergency dentist near you that has the hours you are looking for! Choosing the right Bakersfield emergency physician is easier when you know where to look to ensure that each dentist is licensed and certified. You can check your dentist’s certification on the American Dental Association website located here: www.ada.org. You can also find information on the California Dental Association website located here: http://www.cda.org/. You can also use these websites to find excellent information regarding tooth care and upcoming events like free dental visits and giveaways.